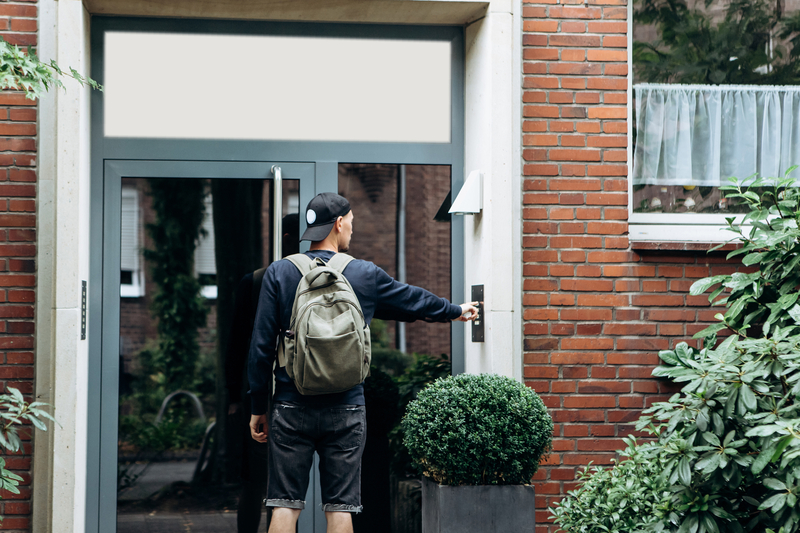 Home security and comfort is one of the top priorities of homeowners, which is why the best video doorbells are becoming more available on the market. Video doorbells are one of the most efficient, convenient and cost-effective ways to enhance your home security. They allow you to see who is at your front door even when you’re not home, and they’re great smart home devices to invest in if you enjoy smart home options. Here are the top 5 best video doorbells and our buying guide to help you make the right choice. Nest Hello may be one of the most sought-after video doorbells on the market, and after a good look at its specs, it’s easy to see why. With Nest Hello you get all of the perks of your standard video doorbell, plus some extra points for the tech-savvy homeowner. To learn more about its features, read our detailed Nest Hello review. 24/7 recording and storage: With the Nest Aware subscription, your doorbell continues recording at all times. Instead of only having access to a certain amount of video storage, you can have video all day, every day. This feature maximizes your video doorbell as a crucial part of your home security system. Facial recognition: This feature is what sets this video doorbell apart from the rest. You can opt into Nest Aware, the monthly subscription that allows you to use facial recognition with your doorbell. Receive alerts to your phone whenever your family members or significant others arrive at your doorstep. HDR camera: Nest Hello’s HDR camera will give you crystal clear images of whoever is at your doorstep. This camera also comes in handy if there is a disturbance because you’ll have a clear picture of whoever the perpetrator is. Difficult installation: This video doorbell can be challenging to set up. You can reserve a Nest Pro to come to your home and help you install it. This service comes at an additional price, but if you’re worried about setting up your video doorbell correctly, the extra cost may be worth it. High price: A Nest Hello video doorbell could be more expensive than it seems at first, especially if you’re opting for the Nest Aware subscription. Nest has an edge with the features it offers, but you’ll have to pay a higher price for it. 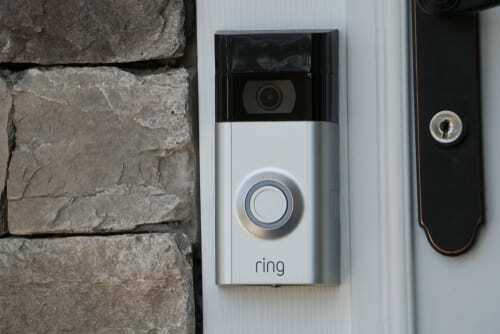 The Ring Video Doorbell Pro is not only one of the most popular smart doorbells out there, but it was also the first one to hit the smart home scene. The Ring Video Doorbell gives you the ultimate video doorbell experience with its innovation, user-friendliness, and high-quality video recording. Check out our Ring review for more information. Customizable colors: The Ring doorbell is one of the only devices that are customizable by color. You can choose from three customizable faceplates so that your new video doorbell matches or blends in well with your home’s exterior. These faceplates are weather resistant, so you don’t have to worry about your doorbell not functioning in the extreme cold, heat, or even rain. High video quality: View your guests at any time of the day with Ring’s 1080 HD video quality. With this type of definition, it’s almost like seeing your guests in person. Night vision camera: In addition to the high-quality video that works during the day, you can also rely on Ring’s night vision camera. It provides a clear, crisp view of your guests even when it’s dark outside. No backup battery: Most video doorbells are hardwired into your existing doorbell system but have a backup battery available in case of a power outage. Unfortunately, Ring doesn’t have a backup battery. Requires existing wiring: To install your Ring Pro, you’ll need to have wiring. If you don’t have wiring already, the installation process could be pricey and time-consuming. When it comes to smart home technology, you want things that are seamless and easy to integrate. Lots of smart video doorbell brands are available, but few integrate easily with other smart home devices. Brands like Skybell and August excel in that area, right along with their great features and some other unique perks. If you’d like to learn more, read our Skybell HD review. Cloud storage: When you purchase a Skybell HD WiFi Doorbell, you get up to seven days of memory with your device. This storage means you can log on to see any activity over the last seven days. Most other companies charge you a monthly fee for anything more than 24 hours. If you want to avoid any monthly bills, Skybell is a great option. Smart home integration: While Skybell doesn’t have seamless integration from within the app for other smart home devices, Skybell still works with them. Whether you’re looking to sync your doorbell with your smart locks or with the lights in your home, you can. Mobile-only: Skybell is one of the only smart video doorbells that is mobile-only accessible. There is no web application available, so be sure to keep your smartphone handy. No backup battery: Similar to the Ring, your Skybell relies solely on electricity. If there is a power outage, your camera will shut off because there is no battery backup available. If you’re looking for a great contender in the video doorbell game, Zmodo has all the specs that you love about the big guys but with half the price. Zmodo packs in high-definition video, two-way audio, and even personalized answering messages into one user-friendly smart doorbell. Read our Zmodo review for details. Multiple users: You can choose several users to gain access and receive alerts. If your partner or kids also have access, you can all answer the doorbell and view live footage from the mobile app. Personalized messages: You can record a personalized recorded message that will play through the two-way smart speakers if you’re not available to answer the doorbell. This feature comes in handy when you’re at work, driving, or need to say something urgent to your guest. 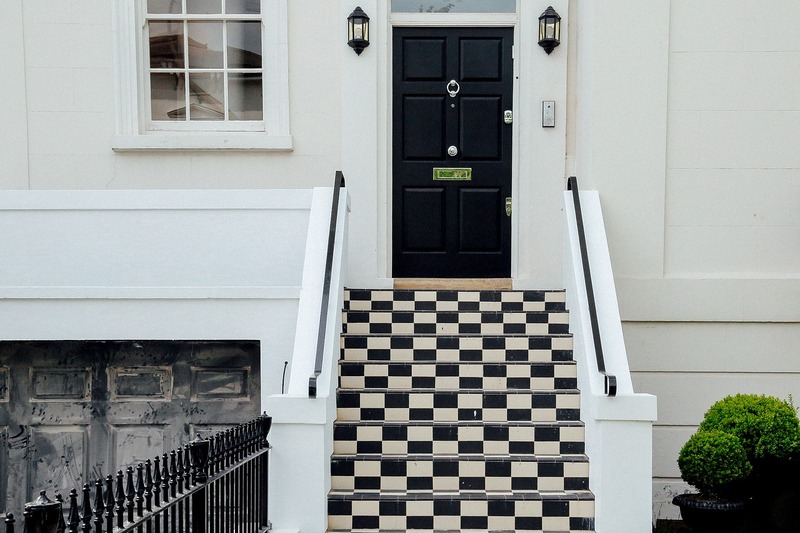 Video storage: What happens when you want to view your front door’s footage from yesterday? With Zmodo, you get free video storage for up to 36 hours. If you want more time to see more footage, you can choose from one of Zmodo’s monthly cloud storage plans. No smart home integration: The biggest fault of Zmodo is the lack of smart home integration. The app, unfortunately, doesn’t work with other smart home devices. You’ll have to exit the app and open another one to signal your smart locks and smart lights. If you’re getting a video doorbell because you want to create the perfect smart home ecosystem, your priority is probably a good user experience and a helpful app. If you want to be able to see, talk and unlock the door without switching between several different apps, know that the August Doorbell Cam Pro grants all of your smart home technology dreams. Read our August Doorbell review for more information. Video storage: If you want to avoid paying for the video storage monthly plans, you can get 24 hours of video storage with August for free. Scroll through your video footage of the last day to see what you missed while you were away, like maybe a package delivery or a neighbor stopping by. Backup battery: While the August Doorbell has a backup battery, the backup battery is only temporary. It will last for a short period. 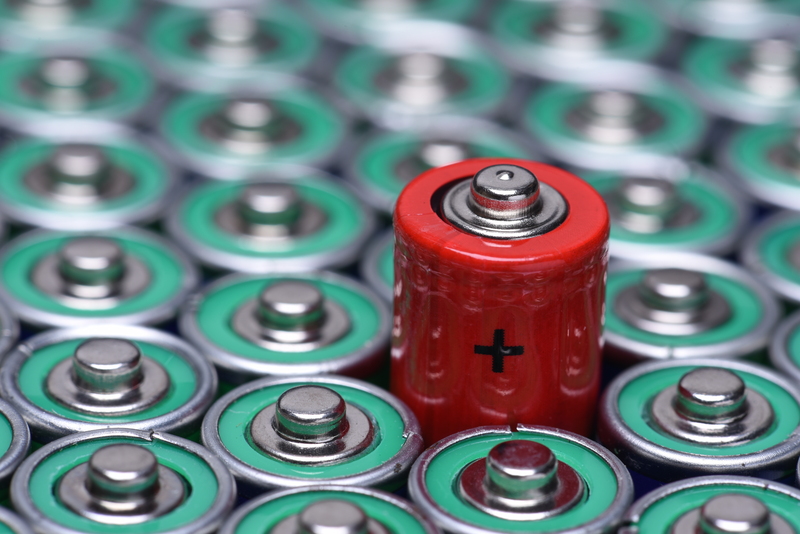 Remember to charge this battery periodically to avoid loss of power. Difficult installation: The installation process should be simple if you have existing wiring in place. If your home doesn’t have wiring for a doorbell, you may want to contact a technician. Floodlight night vision camera: The August doorbell does have a night vision camera, but it is a floodlight night vision camera. The bright light doesn’t produce the best quality images, it isn’t discreet, and it could be a nuisance to your guests. No two video doorbell companies offer the same experience. If you’re wondering how video doorbells work, every smart doorbell will do the same primary functions to show you who is at your front door, and all video doorbells will allow you to answer your door from anywhere from your smartphone. When it comes to the extra stuff, however, you have to check the specs of each brand and see which ones work best for you. The model you choose relies on your personal preferences. Installing a video doorbell varies from brand to brand, but most of them work with hardwiring. The hardwiring requirement means you must have an existing wiring system and transformer installed to make the installation process the smoothest. If you have a default doorbell installed in your home, you can usually remove your original doorbell and connect your smart doorbell to the existing wiring in your front door. This process is generally simple enough to do in a matter of minutes after following a step by step guide on how to do it. If you don’t have a wired doorbell for your home, you can choose to install the doorbell yourself or hire a professional. If you want to do it yourself, look for videos and tutorials online that can guide you through self-installation if you choose to go this route. Sometimes video doorbell companies require or suggest a professional technician. Professional installation will ensure that everything is connected correctly and runs smoothly. Some of the brands on our list of best video doorbells offer technician services or require you to use one of their professionals to install your new doorbell. Either way, most companies claim an easy setup process, so the choice is up to you. Companies and customers want the perfect smart home systems. Most users believe that smart homes will make their lives easier. They want to control various home functions in a few swipes and clicks, but this is a lot easier said than done. 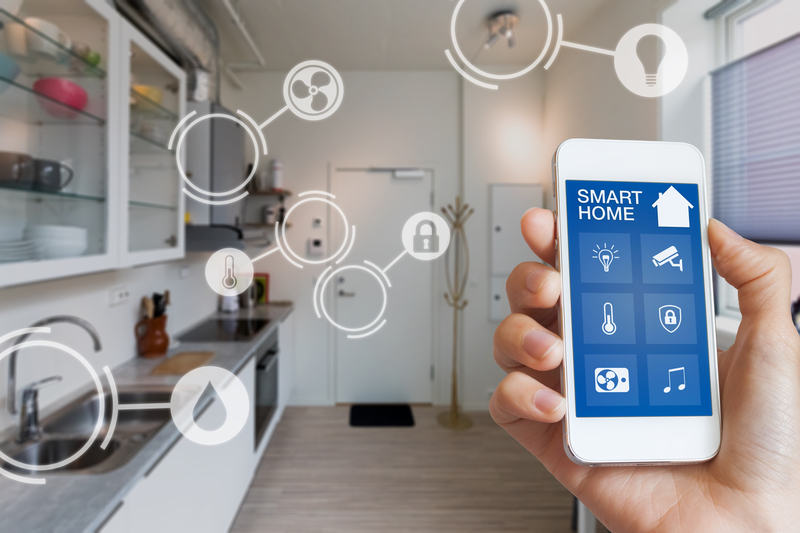 Many manufacturers have found it difficult to create software that is compatible with smart home systems. With huge systems like Amazon Echo, Google Home, and Nest on the market, many developers find themselves in a bind and fighting to make their products compatible with these services. However, not all of the best video doorbells offer smart home compatibility. Some don’t work with other services or have limited smart functions. If you want smart home integration, make sure the video doorbell you purchase is compatible with your system. Whether you want to purchase a wired or a wireless video doorbell is a matter of personal preference. Do you have existing wiring? Is your WiFi connection reliable? Do you remember to recharge batteries? These questions can help narrow down the choice. Most people may think that the wireless component is the key to an easy installation process, but that’s not always true. 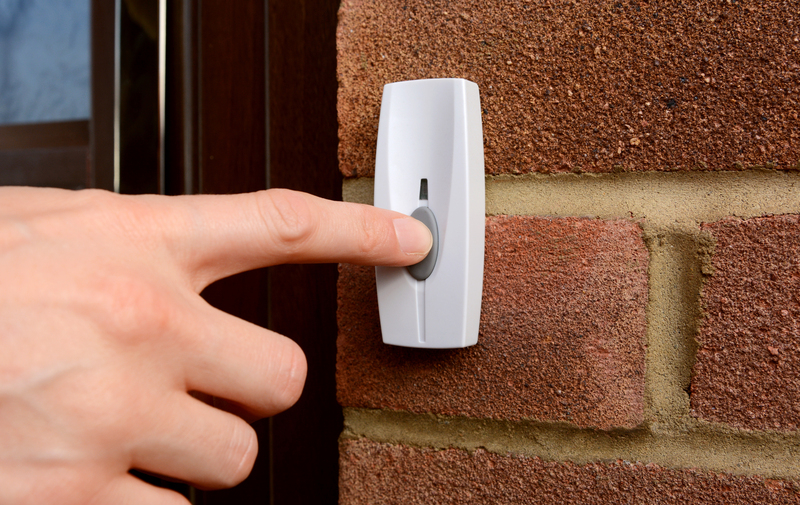 Most homes already have an existing doorbell that makes installation of wired systems easy. If you’re choosing the type of system you have based on ease of installation, remember that your system might be more easy to install that you’d expect. While wireless devices may be much easier to install, you have to remember to recharge batteries from time to time. 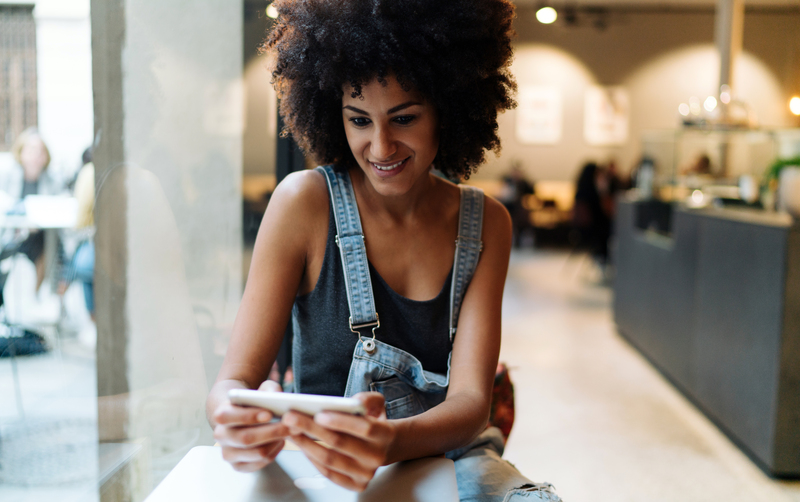 Wireless video doorbells also rely heavily on your internet connection, so make sure you have reliable WiFi. If there is any interference with the transmission or motion sensors, it may be difficult to stream video footage. Many of the best video doorbells aren’t battery operated and require existing wiring. The more features and functionality it has, the more power the smart camera will need to operate. Wired video doorbells get more power, enabling more features. A few of the wired video doorbells are the Ring Video Doorbell Pro and the Zmodo Greet Pro. With every release of a shiny video doorbell, the fight to have the highest video quality continues. Most of the top brands have high definition video for both day and night, giving you a crystal clear image when you pull up the stream on your phone. The question of which offers the best video quality is hard to determine, but all of the best video doorbells will have at least 1080p resolution. The downside to most of the video doorbells on the market is that most of them require a monthly subscription to enjoy the full spectrum of features they have. Ring, Nest, and August all offer a cloud subscription that will allow you to access footage whenever and wherever you are for a certain amount of days. Skybell is the only brand from our top 5 list of best video doorbells that offers free cloud storage for up to 7 days with their equipment. 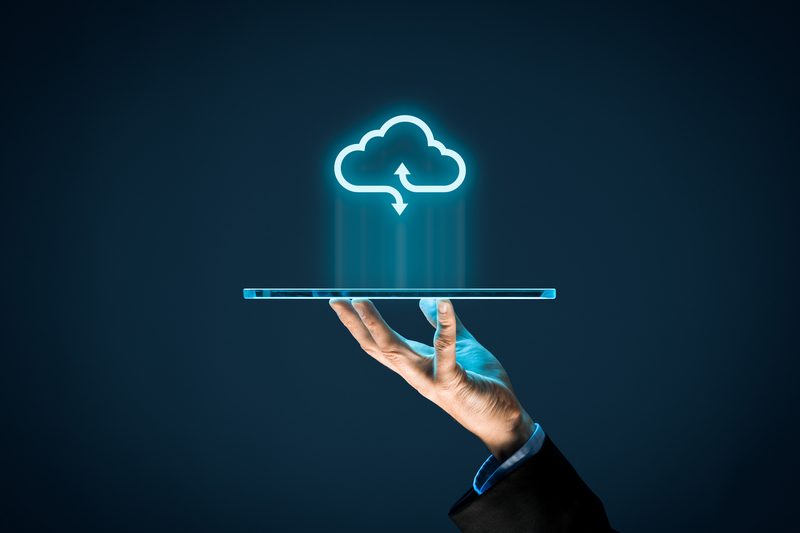 Why Do You Need Cloud Storage? Cloud storage comes in handy when you want to look back on any activity that happened at your front door. Maybe you were away and couldn’t see the alert at the time, or perhaps you want to make sure that a package was delivered. You can go back through the camera’s cloud history to see whatever you need to. This also comes in handy if your video doorbell system is synchronized with security cameras and motion sensors. Cloud storage space will amplify both your video doorbell functionality and your home security-all in one. Another perk of having a cloud subscription is the fact that you can access your live feed at any time. You don’t need to wait for the alert to show up. How Do Video Doorbells Work? Most video doorbells work the same — they are essentially a smart camera with motion sensors by the front door. The camera records the front door area of your home, and the motion sensors detect any movement in its vicinity. 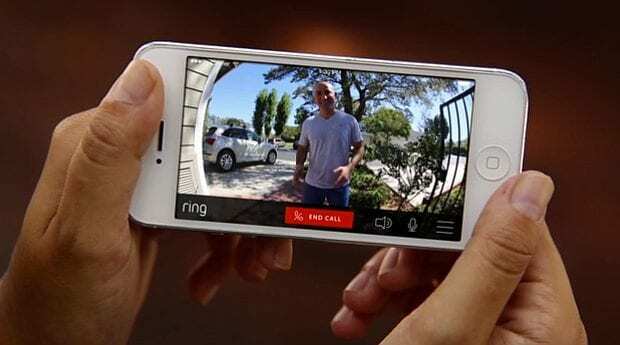 Your video doorbell allows you to view whoever is at the front door even if you’re not home. You can answer the visitor by speaking or leaving them a recorded voice message. Through the mobile app, you can also view live footage and view previous recordings. If you’re not at home but you’re expecting a package, you can monitor your door. You can tell the postal worker to leave the box at the door when they arrive. If you are at home but can’t come to the door, you can speak to the guest or even unlock the door if you have a smart lock. If you need to check to see if your kids made it home safely, you can do that with the video storage provided by most video doorbells. After you have your video doorbell for a while, you will quickly see how much easier your life becomes. While video doorbells may seem like security cameras, they are not the same when it comes to securing your home. 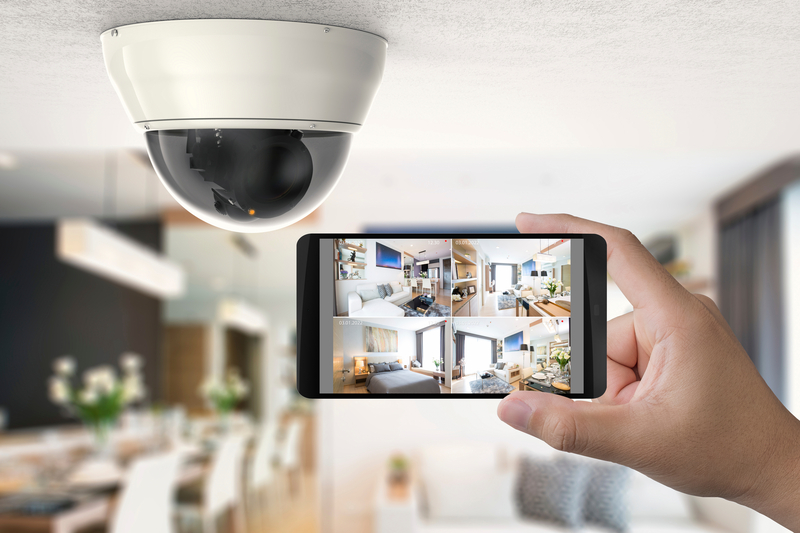 A security camera at your front will record any activity at your front door and can send alerts when they detect any motion. These features act as valuable aspects of home security. A video doorbell isn’t as much of a home security device, but it can be used in conjunction with one because it allows you to monitor and see who comes to your home, even when you’re not there. A video doorbell enhances your existing home security system. You can monitor your door to deter potential threats. Speaking directly to the people who are at your front door through the doorbell’s speakers sends the message that you are home. Most burglaries happen when you’re not home. In the case of a break-in, the cameras and motion sensors from a video doorbell can give an accurate depiction of the intruder. Most people searching for the perfect video doorbell are going to hear about the Ring vs. Nest debate. The two companies are some of the top choices in the video doorbell market due to their exceptional features, power, and smart home functionality. For the standard specs like video quality, installation, and connectivity, the two are about the same. Both offer top high-resolution cameras with night vision and the same 160-degree field of view. Both of the smart doorbells require existing wiring and need 2.4 GHz and 5 GHz connectivity. You can also integrate both brands with your existing smart home devices like Amazon Echo or Google Home. The most significant difference between the Nest Hello and the Ring Pro lies in the special features they offer. In this case, the Nest Hello stands out. The small device packs in facial recognition, 24/7 live streaming, and prerecorded messages for visitors. These features are available for a lower price tag too. Overall, the best video doorbell all comes down to how you want your video doorbell to enhance your daily life. By comparing specs, price, and functionality, you can find the right option for you. Still looking? Read our individual reviews of our top 5 best video doorbell choices for more information.